Filming this one was a real challenge - not just the fact that we were going round on foot in the pitch dark, but busting through a herd of cattle in the dark is a little unnerving! My piece starts at 10 min 44 secs into the show. It was an exciting night's shooting though, and interesting to see how different laws mean that Irish foxshooters go about things slightly differently to how we do it in England. 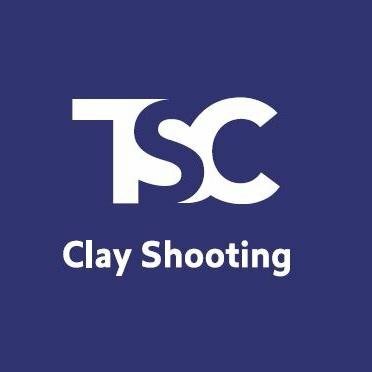 Here's a film I made for The Shooting Show with Jason Doyle in Ireland. 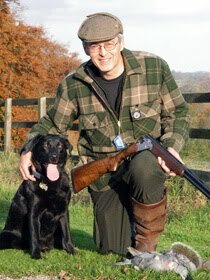 Most of my videos are filmed as part of a regular programme or series, and usually tell a story such as a foxshooting outing, or a day's game shooting. 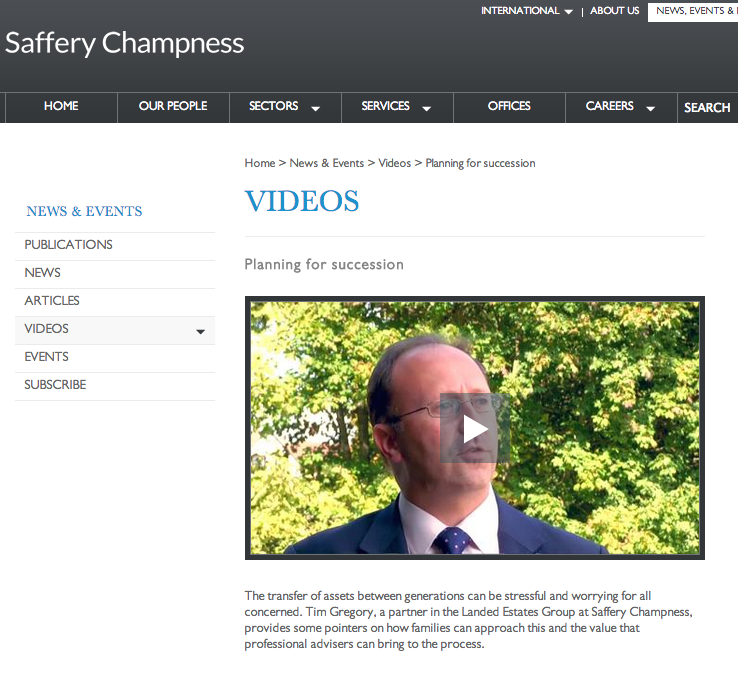 Recently I tackled a different sort of project - a couple of 'corporate' videos for accountants Saffery Champness. These present a very different challenge, not least that the poor 'expert' is on-screen throughout, making it hard to edit so everything flows well. And of course you have to trust that the audience is sufficiently interested in the subject matter, and hold back on the distracting bells and whistles so they can really listen and understand. 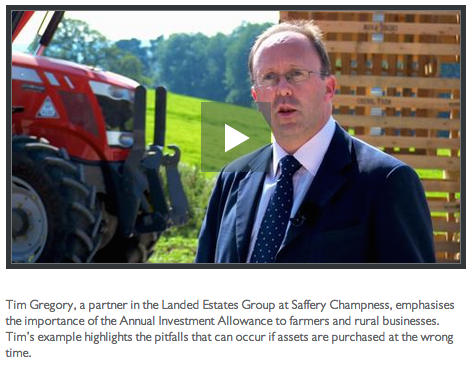 The results are on Saffery's website - click on the images below to see them.